Simply put, the wedding vows are the most important part of the wedding ceremony. They represent the relationship that you and your spouse will have together for the rest of your life, so you want them to be special! Reciting traditional wedding vows is still a common practice, but many couple today are choosing to write their own. 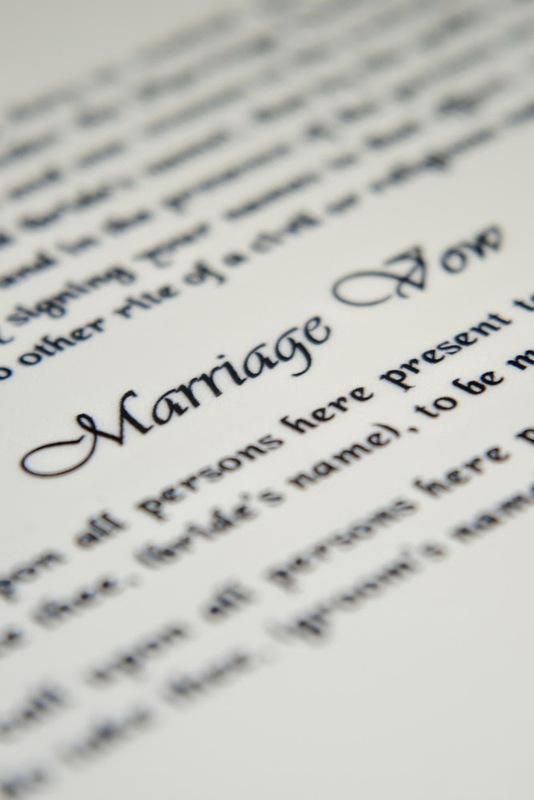 Customized wedding vows can be a great way to honor and celebrate your marriage, but writing your own vows can be challenging. To help you out, the WhereBridesGo.com team has put together some tips for creating the perfect wedding vows! 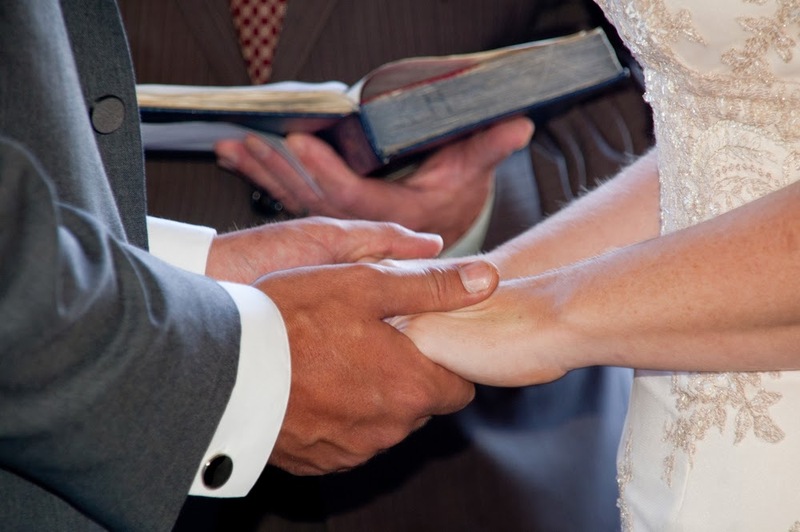 Talk with your partner and your officiant about having personalized wedding vows. Some religions may require you to use traditional wording, whereas others may allow for some originality. After you determine your religious guidelines, you can decide whether you will repeat the same vows together or write them individually to read to one another. Coming up with the perfect words to say in such a special moment might not be the easiest task, so it's a good idea to give yourself at least a month to prepare. This way, you'll have time to organize your thoughts and still have time to practice them before the big day. As your wedding date approaches, you'll probably become more excited and possibly more nervous, so you'll be much better off writing your vows while your mind is still clear! Read traditional vows to get yourselves in the mindset, then branch off from there. Do you have a favorite quote about love? Some couples use a famous quote to set the tone for their vows and then go on to describe what they value about their partner and how they plan to be the best spouse they can be. Whatever direction you choose, traditional vows always serve as a great starting point! 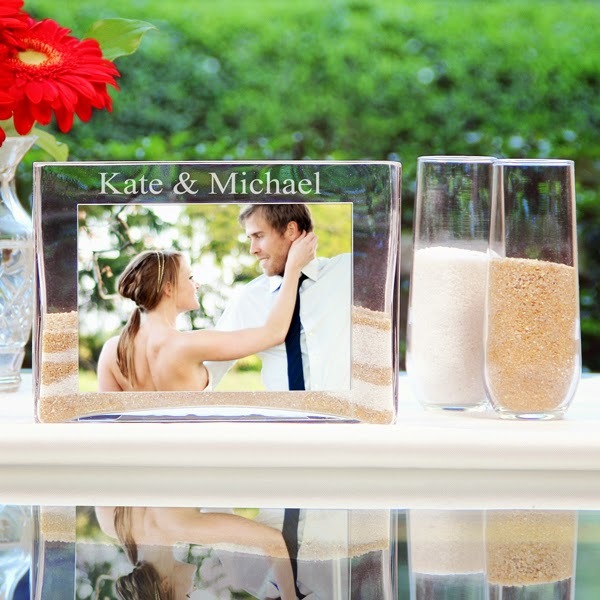 unity sand photo frame set! Before you start writing, you and your fiancé should decide on the tone you want your vows to set. Do you want to be humorous? Romantic? Both? The angle you take is completely up to you. Your vows should show your commitment to and love for one another, but a few small, good-natured can definitely add to the occasion! 5. Plan a Vow Date. Plan a date night when you can sit down with your partner and conduct a vow brainstorming session over dinner. Talk about what you mean to each other, how you've grown together, and what you want to give to your partner. Here are some questions to get you going! What type of wife/husband do you want to be? What is the glue that holds your relationship together? How have you grown together? Talking through questions like these can ignite sparks of creativity that will help you write your vows. Don't worry about trying to find perfect vow material at first, just enjoy reminiscing about your favorite memories together and sharing your dreams for the future. Feel free to take some notes, but don't focus too much on writing anything down right now. Great ideas can come from natural conversation - you don't want to disrupt the flow! After you have discussed your relationship with your partner, take a moment to reflect on yourself - how you've changed since you started dating your fiancé and what you hope to get out of your marriage. Here are some questions to get you started. What went through your mind the first time you saw your partner? What do you respect the most about your partner? How has your life gotten better since you met your partner? What about your partner inspires you? What do you miss most about your partner when you are apart? How have you grown personally since you've been in a relationship with your partner? What is your partner's favorite quality? Take as much time as you need to answer these questions honestly. If you're a visual person, you might find it helpful to write your answers down. Again, feel free to jot down quick notes if you have any moments of inspiration. By the time you've finished with your mutual brainstorming session and your personal reflection, you might find that you have enough written down to officially begin creating your vows! An outline helps create the foundation you can use to support your vows as you build them. Plus, deciding on the outline with your fiancé can ensure that the two of you are on the same page; you'll be less likely to end up with one of you taking an overly comedic or romantic approach. You can structure your outline however you want. Some couples choose to make their vows a series of promises, beginning each line with "I promise to..." Honestly, there is no right or wrong way to structure your outline. As long as you make sure the style matches you and your fiancé, you'll be golden! Unless you decide to elope, you and your fiancé will most likely be surrounded by your friends and family as you recite your vows. They are there to support you as you begin this exciting new chapter of your lives, so make sure your vows don't exclude them! They have no way of knowing your entire relationship history, nor do they need to hear about all your embarrassing stories. You can make your vows fun, but be careful not to focus on too many inside jokes or anything else that your audience may not understand. Guests may lose interest if the ceremonies get too long, so make sure you keep yours succinct and to the point. The ceremony typically encompasses much more than just the vows, so you'll be better off keeping your vows brief - one minute per spouse is usually a good length. This may sound short at first, but you'll be surprised how much you can say in one minute if you've prepared well. Rather than trying to cram multiple ideas into one brief minute, expound on the few points that mean the most to you. Then practice again! Reciting your vows in front of a mirror is one thing, but reciting them on the big day will be a completely different experience. Keep in mind that on your actual wedding day, you'll be surrounded by your bridal party, the officiant, and all of your guests. Knowing your vows inside and out will help ease your nerves. You might also find it helpful to practice in front of your maid of honor, your mother, or someone else you can trust who knows your relationship well. We suggest you try to memorize your vows, but it's usually a good idea to give a written copy to the best man or maid of honor just in case! Ultimately, you and your fiancé can choose to make your vows into anything you want. If you're avoiding traditional vows, you probably want to make your wedding a unique and special ceremony - so do that! As long as you make sure your vows accurately reflect your relationship, and you can't go wrong!